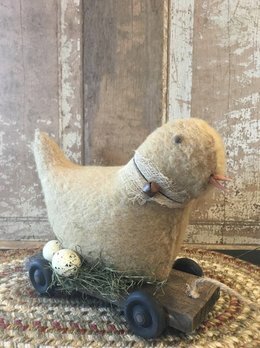 A touch of Primitive folk art for Spring, the Chic On Cart Pull Toy, is a handmade toy to a time gone by. Perfect for your shelf or bookcase. Made by hand of only the highest quality fabrics and wood. Thank you for choosing to shop with us and considering this Chic On Cart Pull Toy - Small! We’re a small family run business that opened our store in 2012. Our goal is simple…bring you only the highest quality merchandise and give you the best old fashioned service…with a smile… so that it’s a great shopping experience. Let us help you make your home the cozy place you want it to be… even if it’s in a subdivision, a condo or a fixer upper. Our store in St. Louis, Missouri, allows us to know what today’s shoppers are looking for and our partnerships with America’s most talented artists and home décor manufacturers allow us keep up on the Urban Farmhouse, Primitive, Rustic and Country trends that you love! Shop our on-line store 24 hours a day, 7 days a week, from anywhere in the continental United States and if you’re in St. Louis, Missouri, drop by our store! 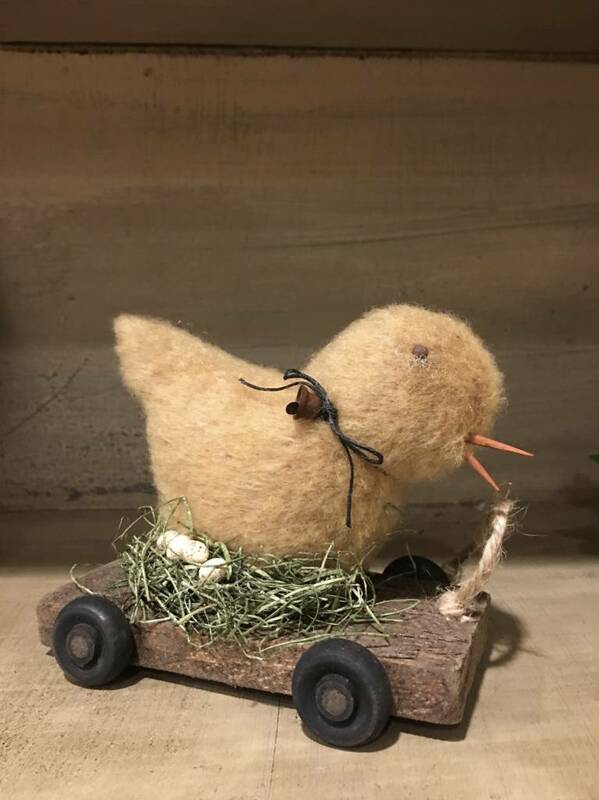 A touch of Primitive folk art for Spring, the Chic On Cart Pull Toy, is a handmade toy to a time gone by. The small eggs are an added feature. Perfect for your shelf or bookcase. Made by hand of only the highest quality fabrics and wood.